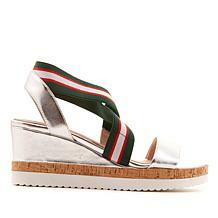 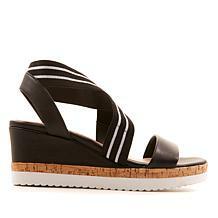 Stripe it rich! 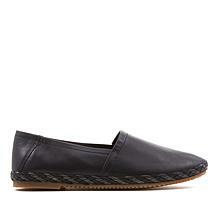 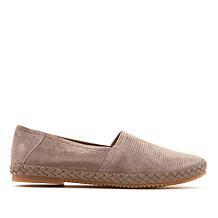 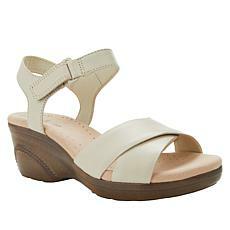 You get the best of both worlds with this high-fashion, comfort-style shoe from Steve Madden. 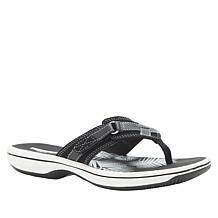 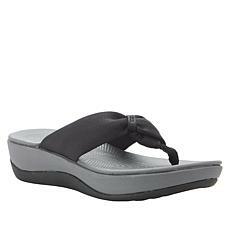 Soft, striped, elastic fabric instep straps hold your feet snug while an open front and back let them breathe easy in the warm weather. 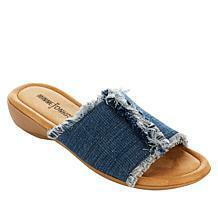 Perfect for sundresses, shorts and denim. 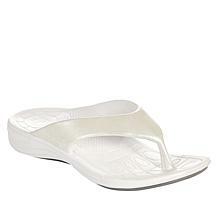 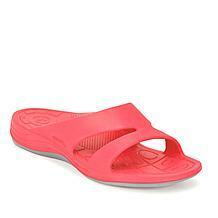 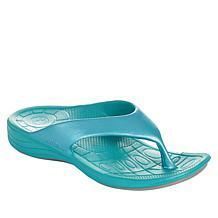 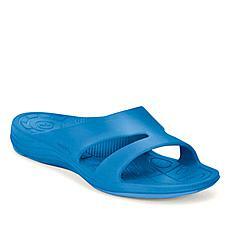 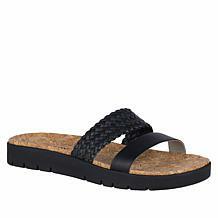 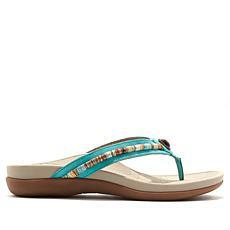 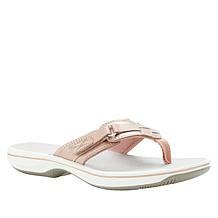 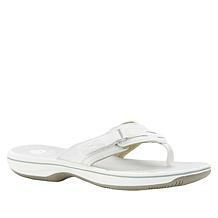 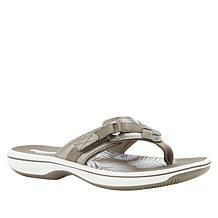 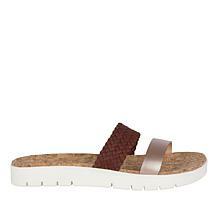 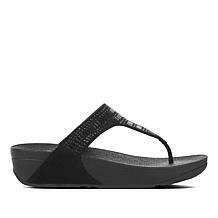 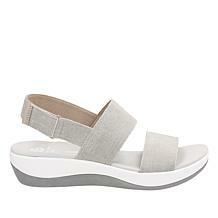 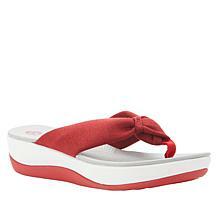 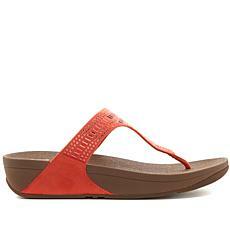 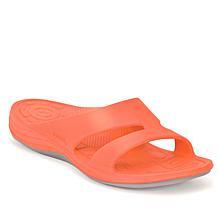 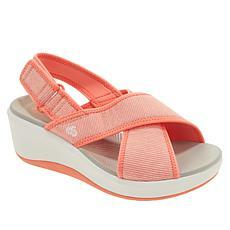 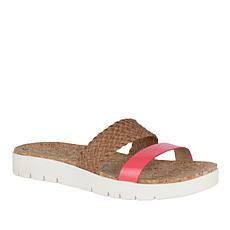 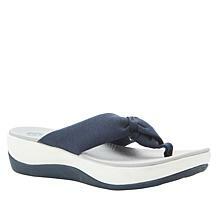 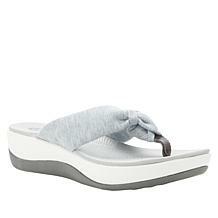 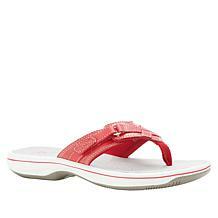 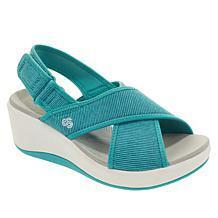 Float along on a stylish sea breeze with the softness and lightweight comfort of these Clarks thong sandals. An adjustable strap and fun printed footbed makes the journey even more enjoyable. 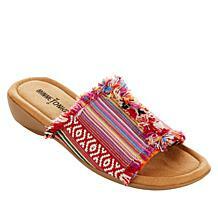 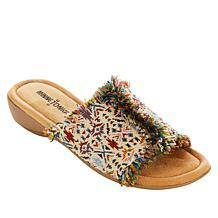 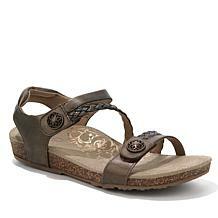 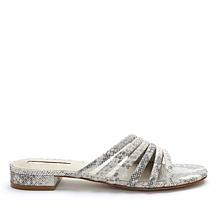 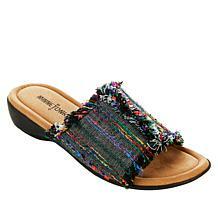 The Hazel is an upgraded flip-flop style with ornate stone embellishments and Boho-style threads for a more feminine look. 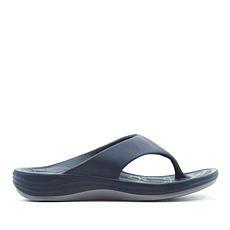 With superior comfort features like a soft toe post and 'Healthy 3' orthodic design, this summer style is perfect for long walks on the beach. 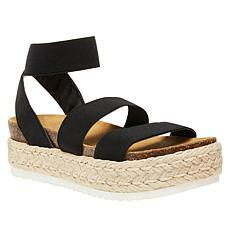 Update your summer wardrobe with the Kimmie. 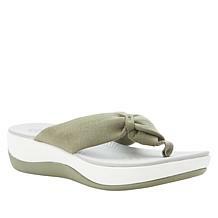 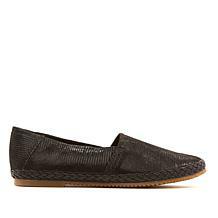 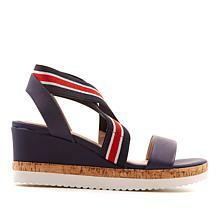 Steve Madden's espadrille-style flat features a raised platform design and soft elastic fabric straps, so you get both style and comfort with every step. 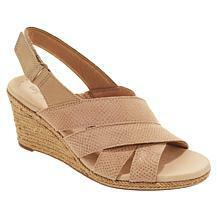 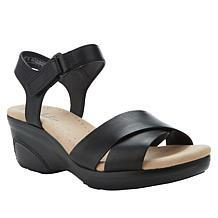 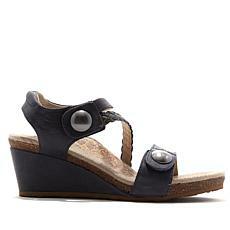 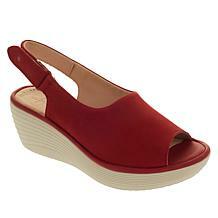 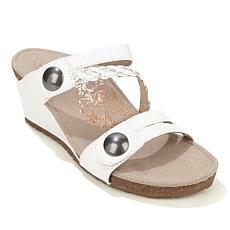 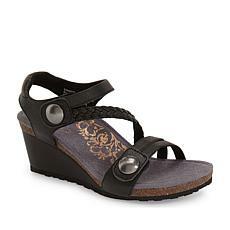 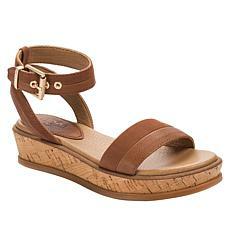 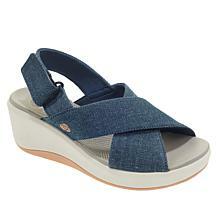 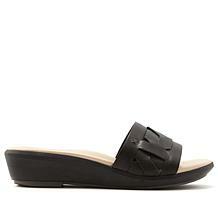 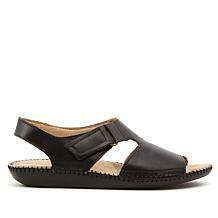 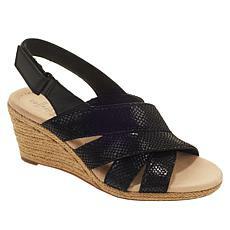 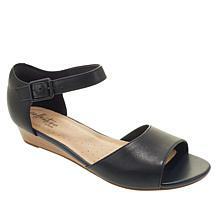 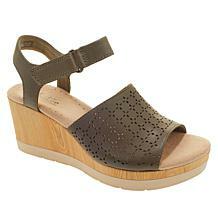 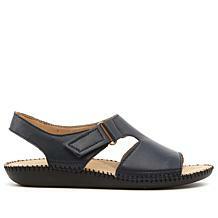 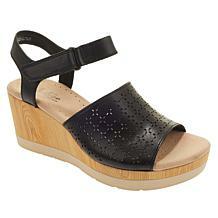 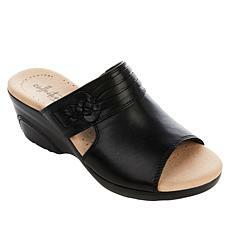 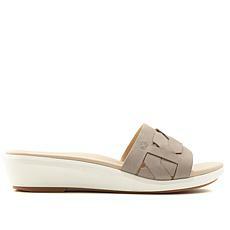 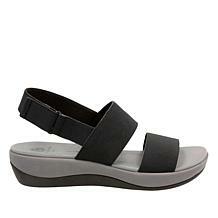 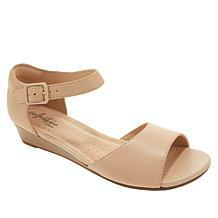 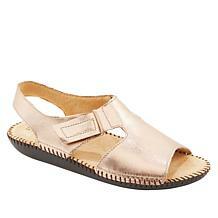 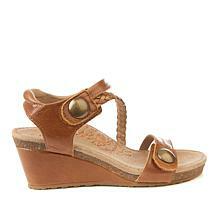 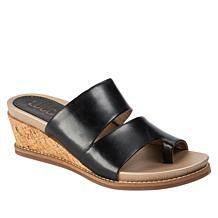 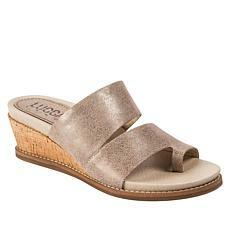 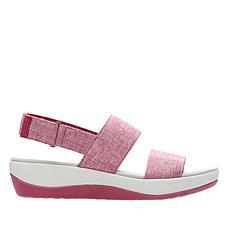 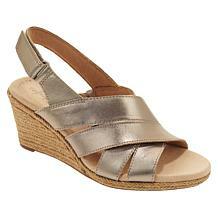 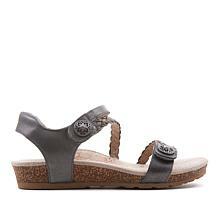 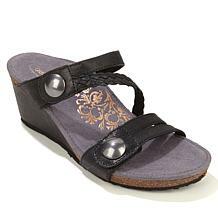 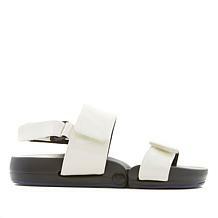 Treat your feet to style and comfort with Clarks Lynette Deb sandals. 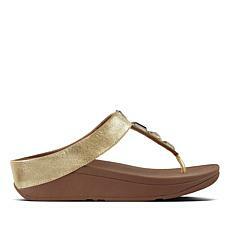 A soft, full-grain leather upper and lightweight, molded Ortholite® footbed is just what you need to navigate fashion in the modern-day world. 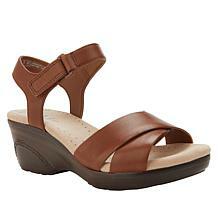 Fashion and comfort for your soul ... and your sole. 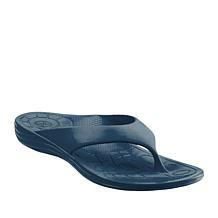 Figs Flex technology is a new footwear solution that bends with your foot, providing comfort that must be worn to be believed. 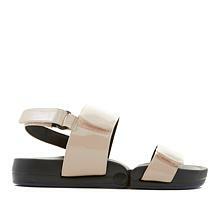 Sleek and soft, the classic two-band sandal in crinkle patent leather brings light and attitude to your daily look. Sandal season is finally here. 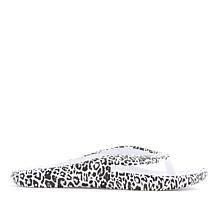 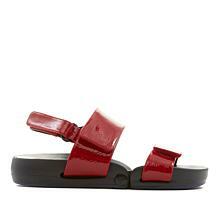 Kick it up a notch with these sassy flat slides from Tahari. The strappy design features a soft leather or suede upper and a comfortable flat heel so you can set a style precedent from morning til night. 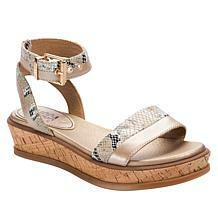 Pop the cork on your warm-weather looks. 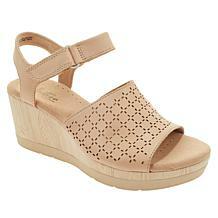 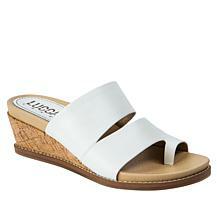 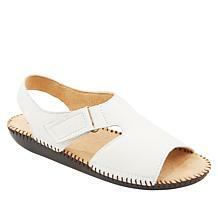 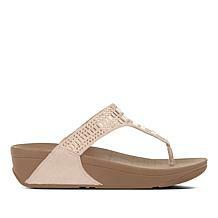 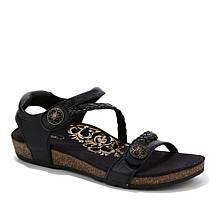 This effortless slip-on leather sandal is anything but ordinary with laser-cut patterns and natural cork details. The padded footbed also features a soft arch support and ultra-lightweight sole for all day and all night comfort. Heavenly ... just like the name. 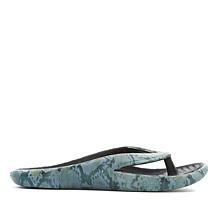 Treat your feet to style and comfort with Clarks' Step Cali Cover Wedge Sandal featuring their signature Ortholite footbed and Cushion Soft technology. With a soft, cushioned footbed and breathable, supportive upper, the Languid offers superlative comfort for everyday wear. Working-woman backed and mom approved. 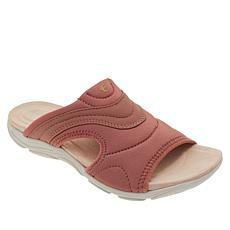 Featuring an OrthoLite footbed with Cushion Soft padding, this luxe nubuck leather sandal provides impact-absorption and moisture-wicking comfort in every step. 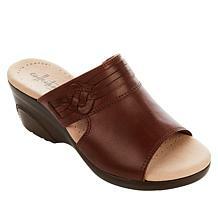 Fashion and comfort for your soul ... and your sole. Figs Flex technology is a new footwear solution that bends with your foot, providing comfort that must be worn to be believed. 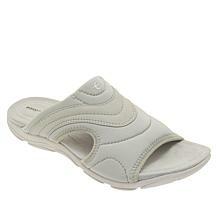 The classic, leather X-band design offers softness with a fashionable twist.